Continuing the ongoing series of interviews with creative artists working on various aspects of movie and TV productions, it is my pleasure to welcome Mahlon Todd Williams. 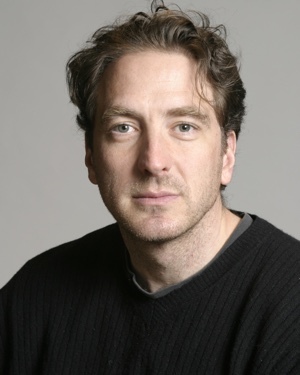 In the last thirty years Mahlon has worked on a wide variety of feature and episodic productions, most recently on CW’s “Legends of Tomorrow”. In this interview we talk about his background and how he started in the camera department, the industry transition to digital, his work on music videos, the compact schedule of episodic television, and what goes into creating the visual worlds of this show. Mahlon: I go by my full name, Mahlon Todd Williams. I’m a cinematographer, and I’ve been working in the camera department since the late ’80s. After finishing film school in Montreal, I came back to Vancouver and got into the union, into what was called the camera trainee program. During two years there they teach you how to be a 2nd assistant camera or the clapper loader. I did that for about 10 years, hoping to work with people who were already established cinematographers. I thought that was the best way, to work with them and see what they do, and what their process is. It’s nice to see the final product, but there’s always that mystery about you actually get to that final product. A lot of people start with the same elements, but they end up with a different movie and look. How do you get there? How are you able to control the elements that you are able to control? A friend of my dad was a designer on set. I went to him a couple of times to get some advice about getting into the industry. He didn’t know anything about the camera department, but his main piece of advice was that whatever it is that I want to do, find the people that are at the top of their game in the industry, and figure out the way to train with them. That’s where you learn your art and craft. And that’s basically what I did. I was able to get in. I worked on some feature films, TV shows, and commercials. I started to segway into doing commercials because my ambition from the very beginning was always to become a cinematographer. When I was working as an assistant, I kept on shooting stuff on the side, and using things that I’ve learned from other people on my own projects. Commercials take anywhere between a day and two weeks if it’s a big one. You can disappear for a week or two between working on them, shooting a short film or an indie feature or a music video. I kept on bouncing between them, and it was a great way for me to continue building my resume and reel. Eventually it got to the point where I had enough credits, and I started getting phone calls for jobs. After about ten years as a camera assistant, I stepped away and fully started working as a cinematographer, in the union at least. That’s what I’ve been doing since around 2006. But I’ve been shooting stuff since the late ’80s. Kirill: Would you say that these days there are more opportunities to get into the field? There are so many indie features and shorts, and there’s such a variety of episodic television compared to when you’ve started. Mahlon: Yes and no. I think there’s a lot more content that’s being generated. And camera-wise, there’s definitely a lot more choices. You can shoot with your iPhone, with a DSLR, with a Red or an Alexa, or a combo. When I got into the field as a clapper loader, it was all film. I learned how to load film and how to thread cameras up; that was my training. If you wanted to work on a feature or on a TV show, there was a fair amount of work in Vancouver at that time. There was a bit of a boom in the ’90s when I rolled back into the town. There wasn’t a tier system back then. These days some shows are shot on DSLRs. We’re shooting “Legends of Tomorrow” on Alexa. In the last four years I’ve shot a bunch of TV movies and music videos on the Reds. Going back to your question, there is a fair amount more. When I got back into the town, one of the first jobs that I got was with a company that shot karaoke videos. At the time, in the mid-90s, they were not shooting on film. We were shooting on a Beta SP camera, and that’s where I really started to learn how to light and shoot and control the elements for video. I was training on film on bigger shows, and back at that time it was a bit funny. People that I’ve worked with on those shows thought that I was crazy for working on stuff that was shot on video. That was the beginning of HD, and it was coming. A lot of people in the industry though that it was never going to take over, and that film was here to stay, and that there was no use to even attempt to figure out how to do that. For me, it was a great break to actually light and shoot something in general. It was a format that was a lot harder to make look pretty, compared to Red or Alexa right now. It wasn’t very forgiving. There wasn’t 24p sort of gloss to those camera. You had to work really hard to control daylight. If you shot in the studio or at night, it was a lot easier to make it look good. But as soon as you had to go outside during the day, you really had to figure out the elements that you wanted to put in the shot, the lenses, the diffusion, the smoke – every trick in the book to try and make that format feel closer to film than it actually was. Kirill: Where you surprised how quickly digital took over, and how quickly film folded, at least at the scale of the cinema history in general? Mahlon: Yes and no. If you look at it from the financial perspective as a producer, it made total sense that it would go that way. Some of the elements of making a show are actually still easier to do on film, in my view. You don’t have a data management cart. You can run around with a film camera, and as long as you have some place to change mags, you don’t a lot of elements. You don’t need a lot of power apart from the battery on the film camera. There’s a little bit more machine for digital that you have to move around. There are other things. You can play back the shots on digital, and if you’re not 100% sure that you got a shot, you play it back and check the focus. You check if there’s a boom in the shot – and those elements are fantastic. There’s definitely something fantastic to it. It’s easier to walk away at the end of the day knowing that we’ve got the shot and that it’s usable. On film you may be pretty sure that you got it. The operator and the director are looking at the performance, and they are all happy with that. But until it comes processed from the lab, you don’t know if it has a scratch on one of the frames, or if something has happened during the processing of it. There’s a million things that could have happened, and you won’t find out for a day or two. On “Legends of Tomorrow” we actually shot one of the episodes with a Super 8. It was a lot of fun, and it’s been a while since I’ve done that. We’re shooting in Vancouver, so we bought the film in LA, waited for it to be shipped, shot it, then shipped it back to LA, and then had it processed. It took us three days to see the dailies of what we had shot. Normally, if we shoot until midnight, by eight in the morning we’re getting a still frame from the lab already showing us the shot that we’ve got. And by around ten in the morning, you’re already looking at the dailies from the previous night. When you’re working with film, you have to be 100% sure before you start shooting that everything is ready. There’s a whole process to get ready to do a shot. All the departments know that you have one or two takes on film, while on digital if you really need to, you can keep the cameras rolling a bit more. And that happens to be the case now. You can roll into a take that is ten minutes long, but if you did that on film, that’s a thousand feet of film. That’s a lot of money to buy it, and then process and transfer. Kirill: What about the visual quality of digital? Has it caught up to film? Mahlon: I’d say for the most part it has. There are certain lighting situations, like daytime exteriors that depend on the lens and how wide it is. I still find that film has a slightly different feel to it in those situations. We had shot the Super 8, and it took three days to get it back. We bought it because we really wanted it to have this film look. And when you see Alexa footage beside the film footage on small screens, the color and the contrast are very close. It was really hard to tell which was which. We shot some stuff at 200 ASA and we shot some stuff at 500 ASA. That’s where you really saw the difference in grain between Alexa and Super 8. If it was on a bigger screen, and you were looking at an inter-cut, I think you would be able to tell the difference. But a quick look at it showed a pretty close match. It was closer than we thought it would be. We didn’t actually have the time to do a test. We shot it on the day, and when it came back, we looked at it. There are some tests on the website of the company that sold us the film, and we based our estimates of how much grain we would be getting on those tests. I was surprised that it was so close between the two, and we had to push the film even a bit more to give it more of a jump between that and the Alexa. It was interesting to see how strong Alexa is, and how far digital has come that it does give you that feel. Courtesy of CW’s “Legends of Tomorrow”. Kirill: Is there a certain bitterness among your colleagues about the disappearance of film? There was some magic around trying to capture that moment, and then waiting for the dailies to see the actual result. And nowadays the feedback loop is almost instantaneous with on-set monitors. Mahlon: That is true. When you’re taking a meter reading and setting an exposure on your camera, in your head you know what you’re going to get in the dailies. Everybody else is walking around and while there might be some people that are able to make that leap, a lot couldn’t until they saw the dailies. Nowadays it is indeed true that you can see it. It helps out since the directors know exactly what they’re getting. You can go for a look, especially for darker stuff. Everybody’s definition of dark is different. It’s like when they ask you to make things a little bluer. What is that? Is it super ’80s HMI blue? Is it a steel gray blue? Is it slightly cooler, so that it doesn’t look blue, but if you put it besides a warmer white, it would look cool? I don’t know if bitter is the correct word. I think that part of it is the process. Whatever job you were doing, as soon as it started rolling, everything had to be in place and ready to go because you knew you only had a take or two to get it. Nowadays, if you really need it, you’re probably not going to run out of memory on your card on set. I remember working on shows that didn’t order enough film. There would be a mad panic that we would run out of film for that day, and you end up running out of film indeed and shutting everything down. If they hadn’t calculated it well enough to figure out how much we were going to shoot, everybody would go home. Now that’s not really in the back of anybody’s mind when it comes to shooting. You shoot until you get it. Kirill: So the digital storage these days is more than adequate? Mahlon: The data managers usually have a couple of massive hard drives. The biggest thing is when you have to process and ship it out the same night – if it’s going to take them an hour to be able to do that. When it was film and you shot ten rolls, you took them and shipped them to the lab at the end of the night. It’s kind of apples and oranges, but also kind of the same thing. When we were shooting film, we started out in the middle of the day on 100 / 200 ASA. As we get closer to sunset, and we we were shooting with three cameras, we had to flip the magazines to 500 ASA film so that we could shoot for the last half hour of day and still have fast enough film to get an exposure. There’d be a mad panic to do that. You finish shooting, and suddenly you have ten rolls of film sitting on the truck, waiting to be downloaded, and then an hour later you give that to the driver to take off to the lab. Now you’re not downloading film. You might have shot three cards of information, and all that stuff has to go on the computer, be downloaded and backed up. Then that card goes to the laboratory to the post guys. It’s a little different, but you’re still dealing with the same thing at that point. There are two guys in the car, waiting for either the film or a hard drive. That doesn’t change. They’re just picking up a different thing. At the beginning of digital people were saying that it would be quicker and faster. Some things are and other things aren’t. You still need to control the lighting of the set or outside. You still need to control your ratios. If you’re standing by the window, you need to bring up the interior of wherever you’re shooting. If you want to look out the window, and you don’t want it to be totally blown out, whether it’s film or digital, you still need to handle that. A lot of stuff is slightly different, but it’s the same thing. You’re trying to control the same elements. You’re still trying to shoot outside and make sure that, for example, it’s cloudy and soft light. And if it’s sunny, you need to bring in diffusion over the top of that, so that when you’re shooting close-ups, it feels right for that cloudy look you need. We’re going out on Monday and Tuesday to shoot daylight exteriors, and already the weather report says it’s going to be cool, and the worst case scenario will be snow on Monday and sun on Tuesday. If that’s the case, it’s going to be an interesting day on Tuesday trying to make the sunny day feel like a cloudy snowy that we just shot the day before. In December in Vancouver the weather rolls in and out pretty quick. The weather report can say anything, but depending on where you are in the lower mainland, we might see some or none of that bad weather for both days. Whether you’re shooting digital or film, those elements are still going to be variables in both of those shoots. You still need to somehow control it or make it look like it’s the exact same day. Kirill: If we talk about the productions that you’ve worked on since 2006, you mixed feature films and episodic television. How would you compare the two, and the overall structure around taking a story and putting it on the screen? 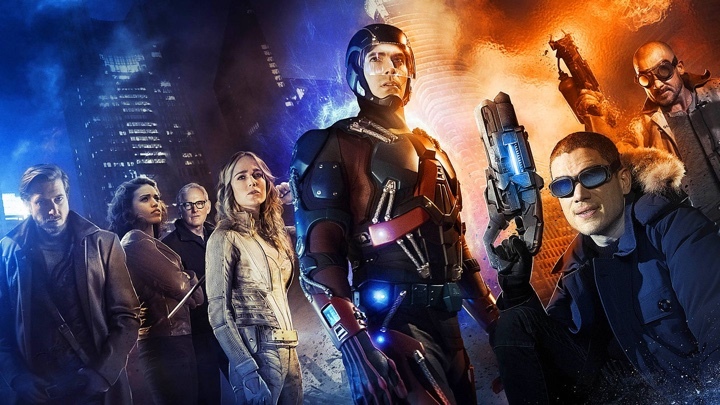 Mahlon: On “Legends of Tomorrow” we have two cinematographers. David Geddes is the cinematographer that hired me to come on and alternate with him. Our show is too big for one cinematographer to do all of it. You prep with your director, and then you shoot with your director. It’s great, and I’m used to do that on my features and TV movies. You’re basing your visual idea with the director around what’s written on the page. Whether it’s a feature, a TV movie, an indie feature or a TV series, that element is always the same. On a TV series you have the show runner, and they have a vision of the show that they are trying to create. They hire all the people to come on board to facilitate that. Part of job that I and David does is to work with the directors that come on board. A lot of times they come in and do one episode in a season. Sometimes they may not come back on that season, or they are so busy that they can only do one episode. Part of our job is to take the look of the show that has been created from the beginning and continue it on. It’s also to let the director know that we’re working with the parameters that we have. You can be creative on this show, and bring your own style. That’s generally what the show runners want out of the directors. David has a slightly different style than I do, but within that we can use the same lens sizes. The coverage that we do is a little non-traditional for a TV series. Usually everybody gets a close-up, then there’s an over-the-shoulder shot, then there’s a cowboy shot, then there’s a master shot. 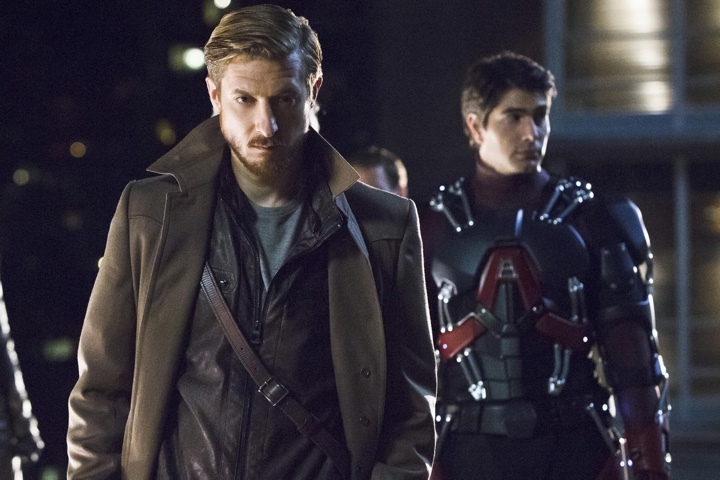 On “Legends of Tomorrow” it doesn’t necessarily have to happen. We need to get the directors who may be used to shooting shows like that into our style. They’ll watch other episodes, and we’ll talk about the locations we’re going to. We’ll talk about how to shoot a scene and make it interesting, how to put a lot of camera movement into it. A lot of times you’ll start a scene off on two actors, you’ll follow them walking into a room, they’ll finish their lines and walk out of frame, two other people will step into the frame and you will push into them, and then go on to two more actors. There are six actors talking in total, and the camera never stops moving, but nobody ever gets a close-up. Other shows would never allow you to do just that. You could do that shot, but then you would have to go back and shoot every one of those actors in a close-up by themselves, so that the show runner would have the ability to cut it however they want. Phil Klemmer and Marc Guggenheim who are the executive producers and the writers on our show are willing to push the limits. They allow the directors to come up with a more fluid visual style, to try and push as far as they can to give as much movement as possible. It’s a superhero show with time travel elements, and it really opens the door for the designers and the cinematographers to create looks that are set within the world that has been created for the show. You’re playing within a box, but it’s the same on features. On a feature film it may be a little more in the hands of the director, the cinematographer and the production designer as far as what you’re going to create. But you still create the box you’re going to play in. There are certain worlds you’re shooting in. You come up with an idea of what the outside is going to look like, for example that it’s going to be very cool and underexposed and menacing. And you go inside, and it’s very clean and crisp. Everything is white and soft, with no shadows. Once you’ve created that box, your job once you’ve started shooting is to keep that feature or that show on track, and to make sure that everything has the right feel to it. Eventually when it gets cut together, you want that world that you’ve created to be there, with nothing that pops out of it. If you say that nothing is ever static and everything is a dolly mover, a Steadicam mover or a crane mover, the camera is its own character in the show with a constant movement to it. You never shoot a standard lockoff shot, and the camera is never sitting on a set of sticks. You might have a more free rein with those elements of storytelling on a feature, but once you set that up, there are certain things that you just don’t do. It’s your own making. You create that limitation, and that also helps to create the style of the show. On “Legends of Tomorrow” David and I work on separate episodes. We go to different time periods, so there’s a bit of leeway. If I go to mid-1800s, I can add some stuff – gels to lights or filters or certain lenses. We can create slightly different elements to that portion of the storytelling. But when we go back to the Waverider ship, there are certain limitations that have been set up. We cannot use any atmosphere on the ship. It’s very clean, and there’s never any diffusion in front of the lens when we’re on the ship. But when you go off the ship, it’s a bit more free rein depending on the nature of the scene. If we’re in a bar in the old West like I was in the first season, there’s a lot of atmosphere. There are lights coming through windows, and candles everywhere. That is a nice contrast to the ship. David and I are in contact about what we’re doing. If there’s a certain story point that happens that hasn’t happened in the rest of the season, we’ll be in contact. One of us would say “This is happening in the ship on this episode, and this is what I’m going to do” so that the other person knows the technique they’re using. So if I ever go back, or go to an episode where the same story point is happening, I can create the same thing that David is doing. Kirill: You mentioned the time travel aspect a couple of times, and this is what I found interesting. When an episode takes place in its own point in time, it gives you and the director more flexibility compared to the regular procedural shows that follow a storyline that continues sequentially in the same space. Mahlon: That’s the main thing that has drawn both David and myself to the show. It’s not a show about a bunch of lawyers. We’re not shooting in an office space or in a hospital. The Waverider is the consistent thing. Last season of the show I was in the West in 1870s, this season they did a confederate zombie episode in 1864, and there was an episode with Jonah Hex in 1874, and last season I was in Germany in 1970s. Those are great because you have some references, whether those are sketches or paintings that go back and let you see what was happening in that time. And it gets even more fun when you go into the future. This year we were in year 2030, and in year 3000. What is in that year? What technology exists there? We can create anything at this point. If you’re in an office, is there a practical lamp on the desk? Would they have a practical lamp or would the desk light itself? Would it float over top in mid-air and glow? Would something be hovering? What color is it? Does it pulse? All those elements come up. You can create certain limitations within the story itself with the technology that we’re building, to help or hinder the story, depending on how you want it to work. You’re driving around in a van looking at locations. You’re trying to make it look different and cool, but also have it make design sense within a location. Or you can build something that would make your life easier, but still be a practical and useful object. It might give you electricity or light, and you think about integrating that into a room. You go to a designer and talk to them about adding different elements to rooms. You talk about framing a shot and having something in a top corner of the frame that fills that space in a wide shot – not only as a design piece, but also as something that lights that shot. There are lots of conversations with all the departments, especially in the future. Even if you look at the present day and the cars driving around, there are some cars that are brand new, but most people aren’t driving brand new cars. Some people are driving 10-year old cars, some people are driving 20-year old cars, and you get an odd person who’s cruising in a 30-year old car. If you’re shooting something in 1942, not everything that somebody owns should be from 1942. There should be some stuff mixed in from 1936 and maybe 1927. It’s important to have stuff like that mixed into the elements of the background. If you have extras, how are they dressed? What part of the society are they in? Do they have a lot of money? Are they working in a factory or in an accounting firm? What would they be driving? All the departments get involved in that. And it’s cool. You go to a set, you step into a location and suddenly it’s 1942 and you’re in a bar in France. You’ve got all these guys dressed as Nazis, standing around having drinks. It’s down to what sort of a champaign glass would they be serving, what kind of bottle would the be during the champaign out of, what’s on the walls, what’s the color of the neon. It’s a lot of fun a lot of work. We don’t have a lot of prep time. We shoot an episode in eight days, and the ninth day is our second unit day. We have nine days to shoot an episode, and nine days to prep an episode. Any of those questions that come up in the prep need to be figured out fast. Once we figure it out, all the departments have to go find that stuff, or create those things. The props department is constantly building little mechanisms that have to turn on or glow or open and close. Some of it is battery-powered and some of it is mechanical. Some needs to be there, and the post guys add CG elements to it. So it doesn’t have to work, but it needs to look like it should work. Then the post-production takes over and adds light, smoke or other elements to make it work. Once you get into the future, it opens a lot of doors for a lot of departments to get super creative about what our future we think is going to look like. Kirill: You mentioned the Waverider ship as the main recurring set. Do you try to find new angles and new movements for the camera from episode to episode so that it doesn’t become very repetitive? Mahlon: Constantly. Marc and Phil are very open. We have our first meeting with the director on the first day of prep, and go through the script. They love camera movement. We can do any angle; we can be high, we can be low, we can be moving around. That ship is as big as a 747. You can start at the back, go from a room down the hallway, circle into another room, out another door to another hallway, and go to the front of the ship. You can solid take for 20 minutes if you want it in that ship and still not get out of it. Part of it is the directors coming in and watching other episodes. They see how we shot certain scenes and certain portions of the ship. Generally the mandate is to try and create something – camera move or blocking – that is different than anything else that we’ve seen. So yes, every episode is definitely using the same set but trying not to shoot it exactly in the same way that other episodes have done. It is always fun, for the directors as well as for David and I. You get to light it differently with different moods. We have a lunch room now, and I’ve done some high-key stuff. Somebody would sit at the table to have a snack, and there’s a conversation going on. And in another episodes the characters have locked themselves in there, and the power is out. It’s very dark in there with a little light coming in from one source. In the last season we created a separate ship that these pirates are taking over. The power is out when the gang comes on the ship in the first place. It’s pitch black and they’re running around with flashlights. All the lighting that we’ve spent time and money on putting in that ship to light it was basically turned off. You start from scratch. We gave three of the actors flashlights, and that’s how we lit the scene. You have to wrap your head around how you’re going to shoot that scene. You can’t quite shoot it the same way that you do when the ship is in full power because there’s a lot of lighting elements that you rely on to do that, and they’re now taken away from you because of the story point. It’s a good problem to have. You have to be very creative in how to do it. And it’s cool when you see it on screen when it’s cut together, because the ship has a different look and feel to it. It’s not going to be like that after that episode because they’ve figured out whatever the issue was in that story. It’s fun to challenge yourself when you come back to the set that you’ve shot maybe thirty times in the same hallway. It’s a lot of fun for the crew. Kirill: Do you find that it’s becoming easier for you to solve these problems as you gain more experience with each production? Mahlon: It does. When I was an assistant, I had a notebook and I would sketch lighting plans of people that I was working with. When they did something interesting or something that I’ve never seen before, I just put it in the back of my memory. And every once in a while I’d pull something from that. Or going back to that company that I was doing the karaoke videos for, I’m constantly using little techniques that I learned how to do shooting that stuff. If I figure out how to do something well and a few years passed, I still rely on that. I’ve got a massive collection of DVD and BluRays, and I listen to all the voiceover commentaries. I watch all the documentaries on the making of these shows. Usually there’s one or two little things in each of those commentaries that somebody will talk about some little thing they did, and it’s a great idea. You may not have a use for it right now, but you put it into the back of your brain and file it away. And five years down the road you might be standing in the middle of a situation where that’s the element that helps you creatively get out of whatever you’re in. I love finding out about other people’s processes. It may be a designer or an editor. How does somebody tackle a problem when they come up on something? I love doing a lot of prep and research. There’s the story that you’re doing, and when I have the ability to do tests, that’s great. Sometimes you go to a rental company, and there’s a piece of gear that is cool. You do something, and you may not even be using it for any show. You go in and start testing it, start figuring out how to use it the way it was designed to use. More often than not I find out that while it’s great that you’ve got that down, but then you start pushing the limits of that piece of gear and try to use it in an incorrect way. That’s when you’ll see stuff. Sometimes it doesn’t look great, and sometimes there will be this one little thing where the way you used it created a different look. It wasn’t supposed to do it, but it did. You see a very cool effect, and you remember the tool to do that. Now you can use this tool this way even though the creator of it wasn’t planning on you using it that way. Finding things like that is always fun. It’s a look or a feel that nobody else has done. It’s not like you’re going back and using that exact piece of gear exactly the same way again. You’re changing it up, and hopefully very few people have seen something that looks like that. You’re actually creating something new, which is a lot of fun. Kirill: Do you think that viewers expect more depth from episodic television these days, and if your answer is yes, then how does that affect what you do? Mahlon: For sure. People are getting used to seeing bigger shows. Amazon is doing “The Man in the High Castle” here, and that’s $10M an episode show. That kind of money is crazy. Regardless of whether you have the time or the money, people are expecting to see more of a feature-style looking show. It does push you to keep creating something – within the limitations that we have. It pushes you to go as far as you possibly can, so that when you see the show, it’s way bigger than it probably should be if you were just taking the time and the money that we had. All the departments work together to create something bigger than what we have. It’s always a cool environment to work in. Everybody is pushing the other departments to take that one little half step further than they would have in creating a new object. It keeps you involved and invested in the show as a crew member. And it’s also cool to see people’s reactions to the show when it’s done. One of the things I did in my hiatus between season 1 and season 2 was start watching people that post videos on YouTube where they watch the show and then give a review. They videotape themselves when they’re watching the show. You can see them react to the shots that we’ve created, and a lot of times they don’t specifically talk about the cinematography or the design of the show. But you can actually see people in awe about what they’re watching. I think it’s a cool compliment because they’re engaged in the story and in the look of the show. If whatever we’ve created works for that story, then rather than somebody looking at the shot and saying that the lighting was cool, I prefer seeing people purely engaged in the story. Something will happen and they’ll say “woah” to it, and be very excited about it. That to me is a great compliment – to see somebody fully engaged in the story. They are worried about the characters getting hurt or dying or saving the day or falling in love, whatever it is that is supposed to be happening in that moment. That is where their head is at. It’s an interesting way to see the review. It’s nice to read the review, but it’s also cool to see the reaction of the super-fans. It’s usually picture-in-picture, so you can see the exact shot that they’re looking at. Kirill: Do you target any particular screen size when you frame the shots for your episodic TV work? On one hand, we have these gigantic TVs, and on the other, people watch shows on their phones as they ride on the subway. Mahlon: We frame the shot so it tells the story at the moment, whether it’s a wide shot or a close-up. It’s a TV show, so somebody is watching this on a screen. In my head it’s probably something like somebody sitting and watching the TV in their house. Some people might be watching it on their iPad or even their iPhone, but we’re not specifically shooting for that. There are so many CG shots, especially with the ship, so as a viewer you would want to watch it at least on your computer screen. I would say that a lot of people watch it on 13/15/17 inch computer screens, and then TVs, and occasionally on an iPhone. It’s not a mandate to try and frame it so that if somebody was watching it on an iPhone, that it played well on that. Our job is to tell a story, and it’s best to watch it in their house on a TV or a computer. Kirill: Stepping away from that part of your work, let’s talk about the music videos that you do. If I look at “Rolling Stone” by The Weeknd, which uses takes that are much longer that I usually see in music videos, how is that artistic decision made and who participates in those discussions? Mahlon: The first video that I did with the director Lamar Taylor was on Drake’s “Headlines”. Then I did “The Motto” for Drake, again with Lamar and Hyghly Alleyne. They have come up with the concepts for the videos, and Drake had some specific places where he wanted to shoot “Headlines” in Toronto. Some of that was his involvement. After those two videos Lamar stepped out on his own to direct for The Weeknd videos, and he asked me to come and shoot those. Abel (who is The Weeknd) had a lot of ideas and concepts for those videos, but it was sort of a group effort. He has an editor that works with him, and together with Lamar they storyboarded a bunch of stuff they wanted to do in each one. I came in and they showed me those, and my part was to sit down and talk with them logistically and technically about creating that. Abel is a fan of cinema, and he loves Coppola’s “Dracula”. In the video for “Wicked Games” there’s a girl dancing, and there’s a shadow on the back wall. You think it’s her shadow, but at one point the shadow starts walking away. You dolly with the shadow and you reveal him standing there singing, and the shadow’s arm starts to go out on the back wall. It looks like it’s about to go across the space, and then suddenly the shadow does go across the space. All of that was in camera. It was all practical effects, with no CG. It was based on the fact that Abel loved that movie and those techniques, and he really wanted to create that stuff in camera. I saw the storyboards, and from that I went and did some research about what they did. We did some testing and put that together. We showed the director and Abel exactly how we could do those shots. That’s what we did on that video. Those guys would come up with the concept, and Abel was the point person creatively behind it. Then the director came on board with me, giving me the storyboards of what they wanted to do. My job was to recreate those storyboards from the technical perspective. It was a lot of fun. I’ve seen “Dracula” and I loved that movie. I watched the behind-the-scenes of how they’ve created a bunch of that stuff, and I had wanted to do it for a long time. And this gave me the ability to do that. Kirill: What are your thoughts on shooting in black and white? Mahlon: If you’re looking at somebody dressed in a suit, and the pants are powder-blue while the top is powder-yellow, that is a big contrast to your eye. But if you see that in black and white, you have to remember that the camera is not going to see the contrast in color. The only thing that it’s going to register is that it’s a shade of grey. Wrapping your head around that is a little tricky. You can have a very flat image in color, and a splash of neon red in one corner makes that image look fantastic because of the crazy contrast to it. But if you shoot it in black and white, it would be just a slightly darker grey over here, and a bit less grey to the side of it. It becomes a wash. I haven’t had to shoot a lot of black and white in the last couple years. It doesn’t tend to come up on a lot of shows. Occasionally I would go an buy a black and white roll of film when I go on a trip. For the last trip that I did down in Chile I bought a Nikon F3, and nothing but black and white film with a 27mm prime lens. So for the whole trip if I wanted a wide shot, I stayed back, and if I wanted a close-up, I had to physically walk up close and take the picture. It’s an interesting thing that you really have to force your brain into finding the right spot for the camera to take the picture that you want, as opposed to having a zoom lens on. If you only have a prime lens, you have to physically walk up two feet away from it and take the picture. Suddenly you’ve got a different feel to it. I can’t remember where the quote comes from, but it says that if your photographs don’t have impact in them, it’s because you’re not close enough to your subject. If you look at the work of photojournalists, a lot of that stuff is crazy. They tend to be wider lenses so that you can see all the elements in the location that you’re in, but you’re about three or four feet away from somebody standing there with a gun or a protest sign. You’re right there, and when you’re looking at that as a picture, in your head you’re physically as far away from this person as the photographer was. It tends to make you feel like you’re right in that element. Kirill: I have to ask – what’s happening in your Instagram feed? Are those your paintings? 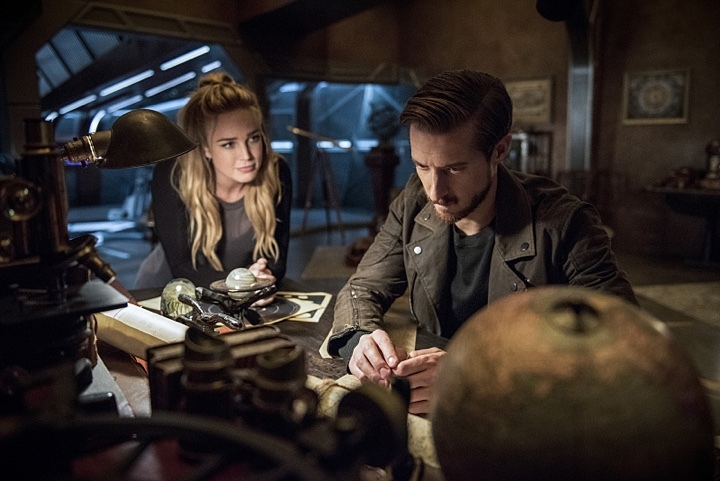 Mahlon: I was posting a lot of stills from the projects that I’ve shot, and at the end of my hiatus between season 1 and season 2 of “Legends of Tomorrow” I took a couple of painting classes and started painting. I’ve been coming home from a day of work, whether it’s prep or shooting, and I’ve been painting most every day that I’ve been working. I’ve been using this as a process to decompress and relax. I start a painting without really knowing where it’s going to go, and then I finish when it’s finished. The next morning I get up, take a look at what I’ve painted, take a picture from it and add it to my Instagram account. It’s been a lot of fun. I’ve got some great reactions from people that I work with and friends that I know. It’s kind of a no-filter project for me, where I’m not worried about the final outcome. I don’t have to deliver it to be broadcast on TV. There’s no network or studio behind what I’m doing. It’s how I’m feeling that day. It’s more about that than anything. I’m finding that super enjoyable. I’ve been using a lot of ink, watercolor and acrylics, but my plan over Christmas is to finally try to do some stuff in oil. It’s something that I’ve wanted to do for a long time, but I’ve never attempted it. It’ll be fun to see how it works when I get to that. Kirill: For the last question I’ll ask you what makes you stay in the industry after almost thirty years in it? Mahlon: I love movies and I have since I was a kid. I was an extra in movies when I was a teenager. I loved “Raiders of the Lost Ark”. I got hooked on film making watching a documentary on that movie where they showed all the behind the scenes. That clicked for me when I was around 13 years old. I thought it was the coolest thing in the world. I’ve been very lucky to travel around the world a fair amount for my work. I’ve been to Korea, Easter Island, Chile, Guyana, Hungary, Northern Ireland, Germany, and shot all those places. I’ve been in the middle of different events and met a lot of people, and it’s always creative. It doesn’t matter if you’re doing a short film or a music video or a TV series. That’s what draws me to the industry – it’s a super creative industry that keeps on evolving and changing. You can never know everything in it. I just started painting, and I’m using a lot of techniques that I use building contrast for a two-dimensional image when it comes to lighting and color. People seem to like the stuff I shoot, and people also seem to like the paintings that I do. They say there’s a lot of color and movement in those paintings, and I think this is from all the years that I’ve been on set. I know there are people that have come in an opposite direction. I know that Tony and Ridley Scott both started out as painters, and then brought that eye and creativity into film making. The hours can be long, but there’s something about being with a group of people that are all heading in the same direction, trying to create something new and tell a story. That aspect is a lot of fun. It’s a family in its own right. It’s nice when I get time off, and it’s a nice mix. Sometimes I’m shooting in Vancouver, sometimes I’m in Toronto, sometimes I might be down in South America shooting the location. The locations change, the people you work with change, and it’s cool that you get to meet and work with people that you may not have ever met before. Everybody’s very creative in different ways, and that’s one of the collective things that everybody has on a set. Everybody might have a different job, and everybody is trying to add a piece of their own creativity to the bit story that we’re trying to tell. That’s always fun. And here I’d like to thank Mahlon Todd Williams for this great opportunity to hear about the ever-evolving art and craft of cinematography. You can find Mahlon on Twitter, Vimeo and Instagram. I’d also like to thank Gabriella Belzer for making this interview happen. Finally, if you want to know more about how films and TV shows are made, click here for additional in-depth interviews in this series.